I only became a 100% Star Trek fan in the last few years...But I watched all of the original, original episodes with a permanent wish to be on the Enterprise - specifically to hang out with Spock. Spock, to me, regardless of being half-Vulcan, represented the struggles and triumphs of heart-versus-brain better than any other character on the show. He knew how it felt to try and fit in two different worlds. He was a leader, a father figure, and most of all he was a friend.Today, we have lost Leonard Nimoy, whose influence may have been greatest as Spock but continued as a brilliant man in general. 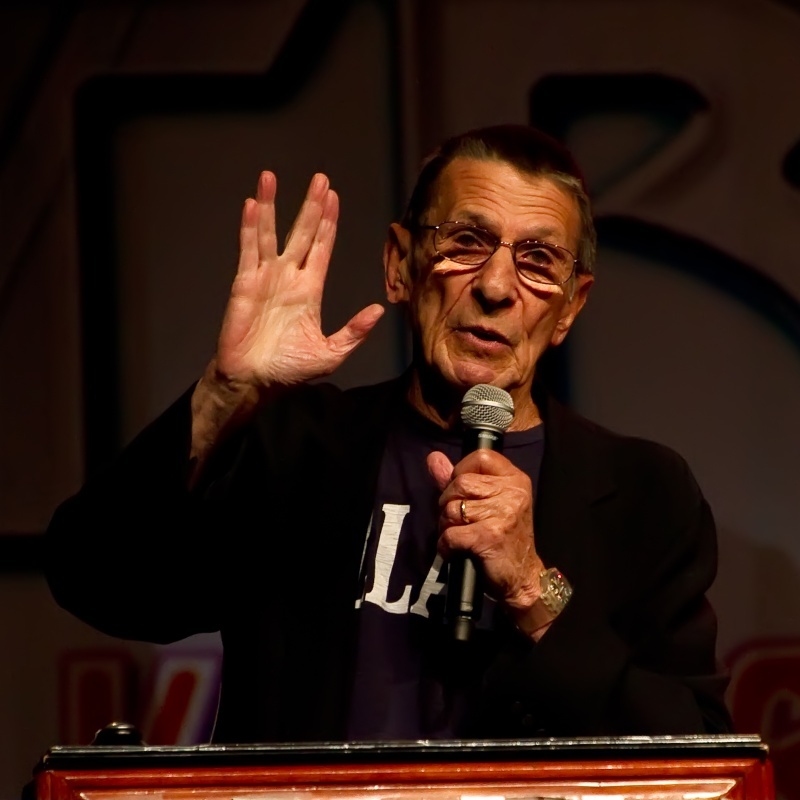 And of course Spock's famous quote, "Live long and Prosper." Rest in Peace, Mr. Nimoy, you're amazing. One to beam up, Scotty, for the final frontier. Live long and prosper Leonard.